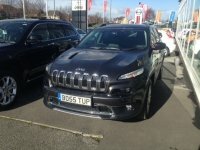 What are Name Number Plates? 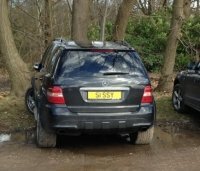 If you’re looking for a personalised number plate, then considering a name number plate is a fantastic option. After all, what’s more personal than your name? If you have a short name (or a shortened version of your name that you’re happy to use), then choosing a name number plate should be easy. Don, Sam, and Jon all naturally translate to name number plates, as do Valerie (VAL) and Rebecca (BEC). If you have a longer name, or want to make your plate look particularly interesting, then you can use numbers to substitute for letters. The most common substitutions are the use of the number three instead of an E; so if your name is Jerry, you could pick a plate that uses “J3 R”. Other examples of numbers substituting for letters include fours being used as A's (“S4 M”), but really, the only limit is your imagination— if it looks right to you, then go for it! 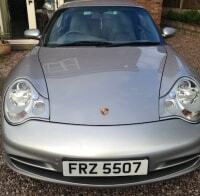 Remember: it doesn’t just have to be your name that you choose for a personalised plate! You could choose a plate to reflect the name of your newborn child, or even a plate that is reflective of your small business. The choice is entirely yours. If you prefer, you can also add numbers to reflect a significant date, such as a wedding anniversary or the birth of your child. Our easy search function allows you to see all the available options for your chosen letters or numbers, so you’re able to decide which choice is the right one for you. Name number plates are 100% legal and can be transferred onto your vehicle in as short a time as two weeks, so you can be enjoying the benefits of your highly-personalised vehicle in next to no time! 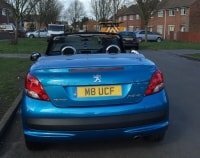 We offer a huge number of personalised number plate options, so you’re bound to find a plate that suits your personal preferences. All you need to do is search for your chosen name in the search bar above. When you submit your search, you will be presented with a range of options, and you can choose whichever best suits your preferences. If you need to filter your search to present only the options most suitable for you and your budget, then our user-friendly interface allows you to achieve this with ease. 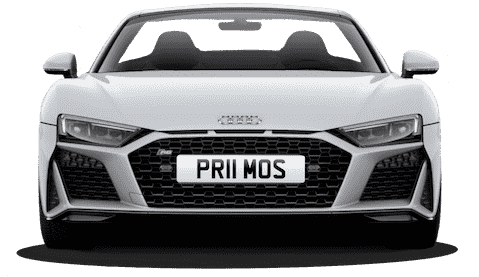 We offer a price guarantee on all of the name number plates that we sell; we won’t be beaten on price, so you can be certain that when you buy with Primo Registrations, you’re getting the best price possible. Our purchasing process is fast and simple; you can buy online and pay with any major card or PayPal, or if you prefer, give us a call to discuss your purchase. Our friendly sales team are available on 01252 49 1111, and are more than happy to answer any queries you may have.